I love the idea of using Moroccan Wedding Blankets as bedroom decor. 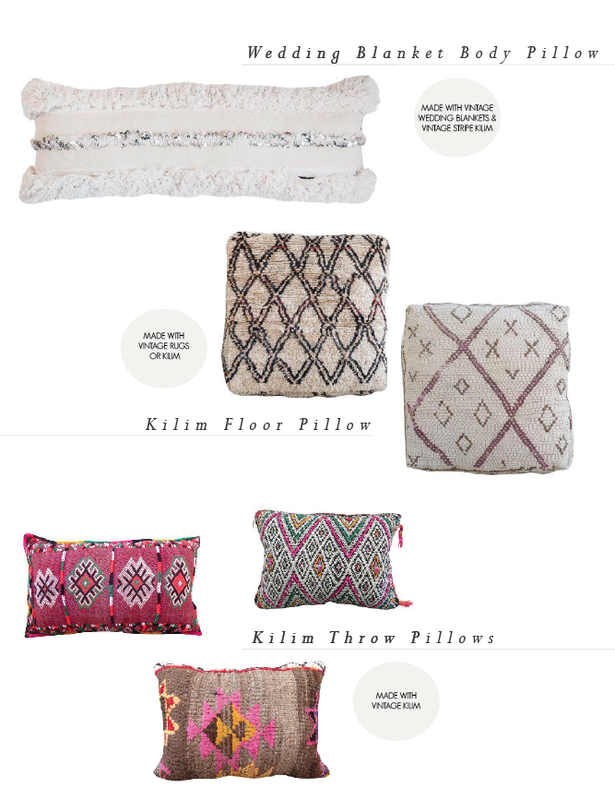 I already have a throw that I use at the end of my bed, so I have been looking for inspiration on how to use one as a headboard. I put together a collection of my favorite looks! The use of this blanket is both functional and aesthetically pleasing. By covering a closet, it looks like the bed is made for that corner. The wedding blanket can easily be lifted up to access the closet. This is a perfect solution for a small space where you need to get crafty with design and practicality. Anyone with a four post bed can achieve this look! By simply adding a horizontal bar, you can add any textile to spruce up your bed! I am responding sooo well to the drape happening here! It looks fantastic on a contrasting wall. LOVE this look! This blanket is displayed as a true piece of art. This room is the definition of ‘Bohemian Chic’. Perfect set-up for an apartment! When you can’t paint your walls and are limited to what you are allowed to hang up, wedding blankets help add texture an dimension to rooms! As soon as I saw this Danish apartment, I knew I had to share it. We’re talking white walls, wooden floors, touch of black, high ceilings, global finds, gallery walls, and overall vintage charm. Rupert Landendinger, perfumier and marketing director, pieced his Copenhagen apartment together by adding finds from his travels and vintage art. There is so much inspiration here and we love how he incorporated Moroccan textiles into his space! I came across this bedroom a few months back on Pinterest and made it my screen saver the same day! When it comes to designing a bedroom, I am all about keeping it as minimalist as possible. Cluttered spaces stress me out and you need a tranquil room to retreat to at the end of the day. This design is executed perfectly! A friend of mine just moved into an industrial loft and I have been dying to get in there and stage some Maven pieces. I love the industrial look; exposed beams, brick walls, high ceilings = YUM! Last week I took a few hours off in the afternoon to play around with some of our products in their space. Pics below! I love that this space allows for the rug to be on a diagonal. It opens up the room and lets you showcase the beautiful Beni! Whenever you have a large sectional, you can add a throw or wedding blanket over the back. It helps add some texture and dimension to the space. Trying out a different Beni in the room, love this pattern with the neutral couch. Every home needs at least one Moroccan Pouf in it! I looooove adding global decor to a modern/industrial space. It warms it up, adds some color, and still keep it looking chic. Featuring our ‘La Banana’ Moroccan Azilal Rug. Maven’s HQ is located in Chicago, which means it is freezing 5-6 months out of the year. Why we still choose to live her is quite questionable. We are planning on heading to Morocco in March for a large buying trip(!!!). It’s always so refreshing to be ‘in the field’ and meet new faces and jump-start those creative juices! I always feel so refreshed, inspired and focused after traveling. I was skimming though Pinterest and came across some beautiful Moroccan Patio scenes. These will definitely keep going as I trek through the snow and negative degrees for the next two months. 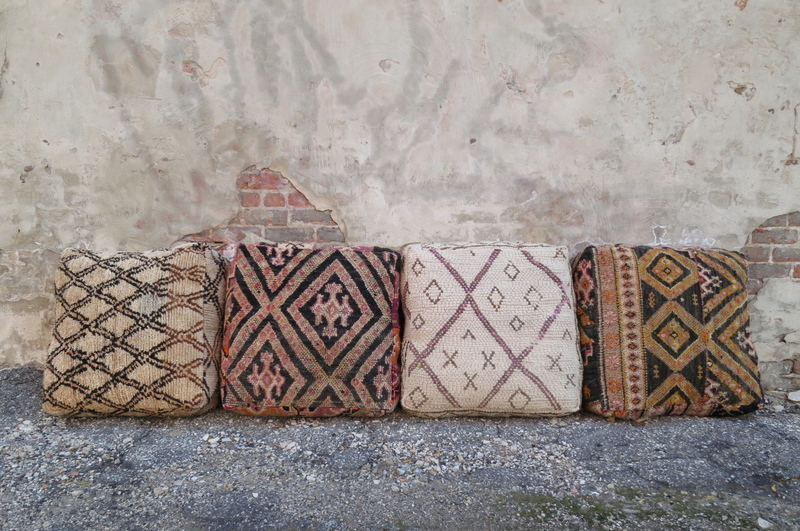 Kilim Blankets (pictured above) are fairly inexpensive and are perfect for creating your own seating space. Who wouldn’t want to have a lovely afternoon lunch here! Well If you’re getting me into a bath suite mid winter, it better be for this pool! More Kilim and a fruit tree! If I lived in a dry climate I would be re-creating this on my patio. Place of dreams!!! Happy Winter! Stay warm and inspired! One of our Moroccan bread baskets was featured on Vogue.com last week! It was in a lovely article about on ’16 Beautiful Little Ways to Stay Organized This Year’. These colorful hand-woven baskets add the perfect pop of color to any room or space you are creating. Check out a few of our favorites below!